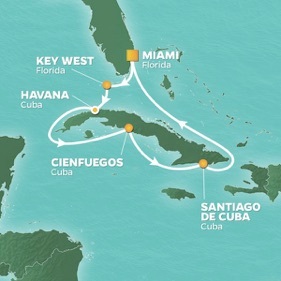 4.Wednesday, March 28-Depart Miami at 5 PM on the Azamara Quest. 7.Saturday, March 31-Havana. 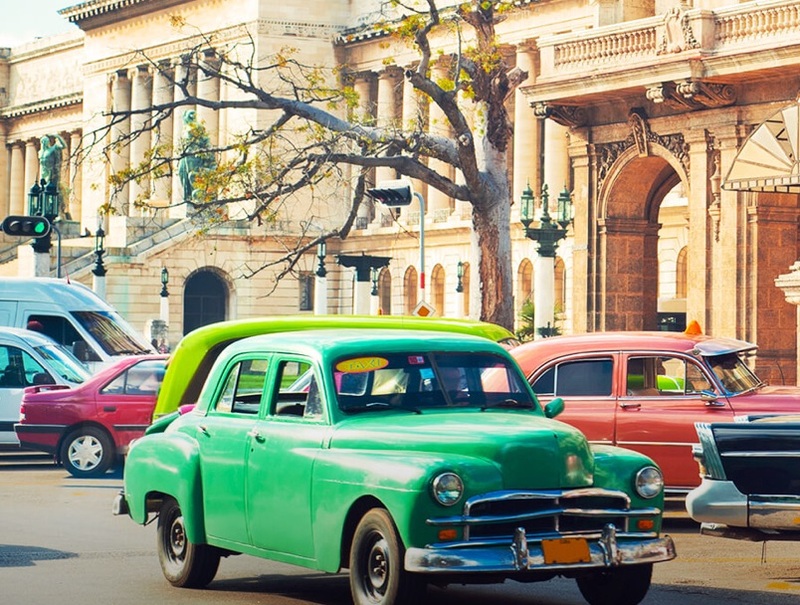 Follow in the footsteps of legendary American writer, Ernest Hemingway, who’s love affair with Cuba is well documented. Begin with a short drive to San Francisco de Paula, the town where Hemingway lived and worked for 20 years, and visit Finca Vigia, the home in which he penned some of his greatest works, including For Whom the Bell Tolls and Old Man and the Sea. Afterwards, sip a Don Gregorio cocktail at one of his favorite eateries and visit La Floridita, one of his local hangouts. Finally, swing by the Hotel Ambos Mundos, where Hemingway lived for seven years. 11. Wednesday, April 4-Arrive Santiago de Cuba, Cuba at 6:00 PM. In the evening, visit Santiago’s Heredia Theater featuring Cuban music and dance.